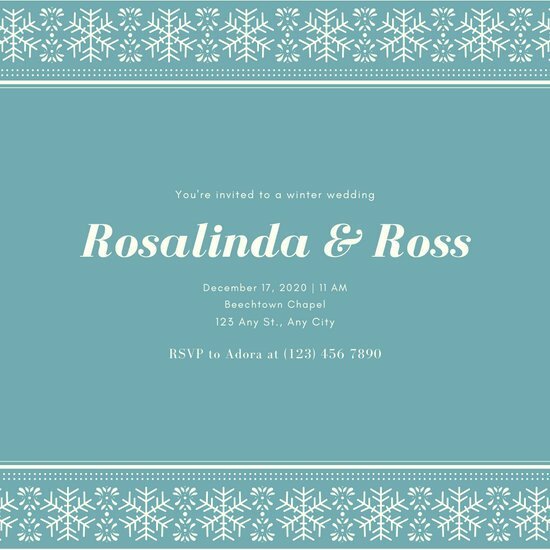 Browse our collection of customizable invitation templates designed especially for wonderful winter weddings. 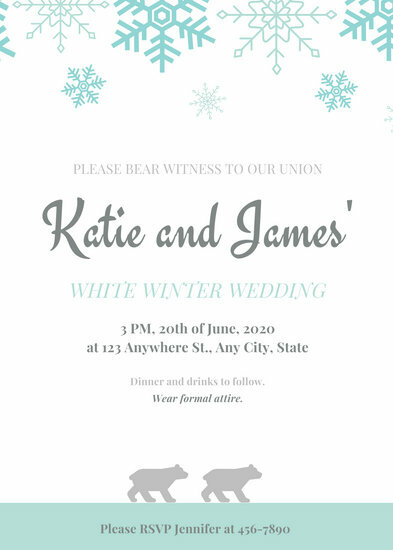 Imagine saying your vows amidst a blanket of white, with the bride resplendent in fur and diamonds. 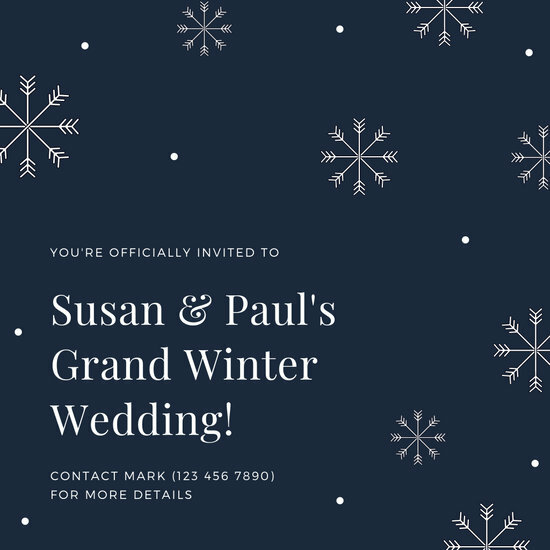 Holding your wedding in the winter will surely give you a gorgeous background for your photos. 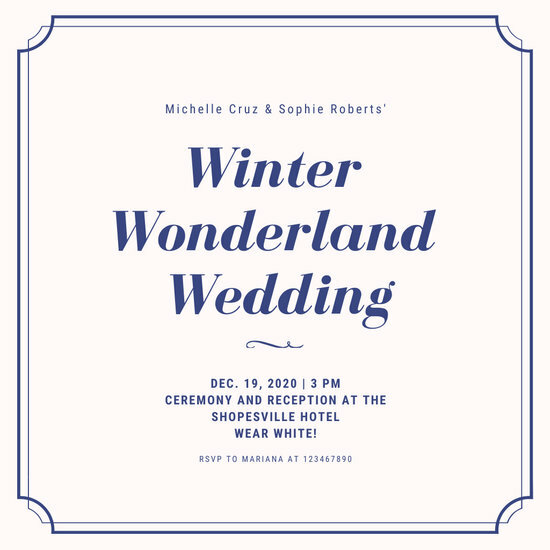 Your guests will also love taking their own photographs as they show off their winter finery. 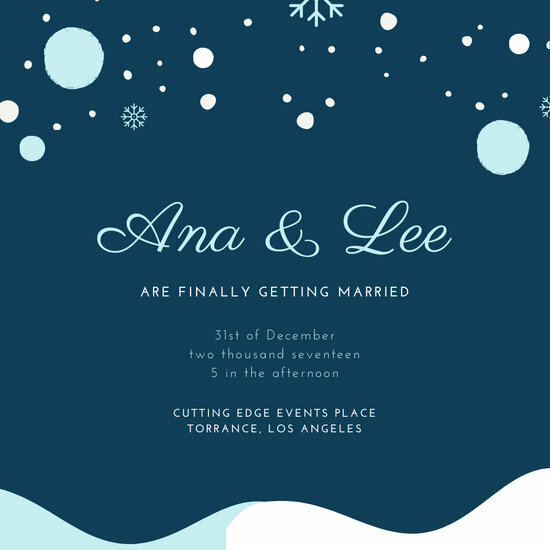 Before this can happen however, they need to know the details of your big day so they can prepare. 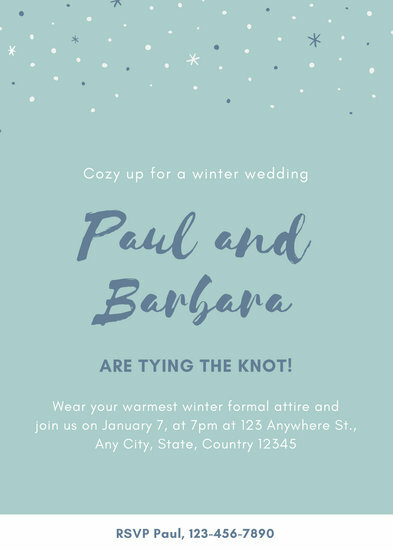 Not everyone has winter formalwear hanging in their closets. 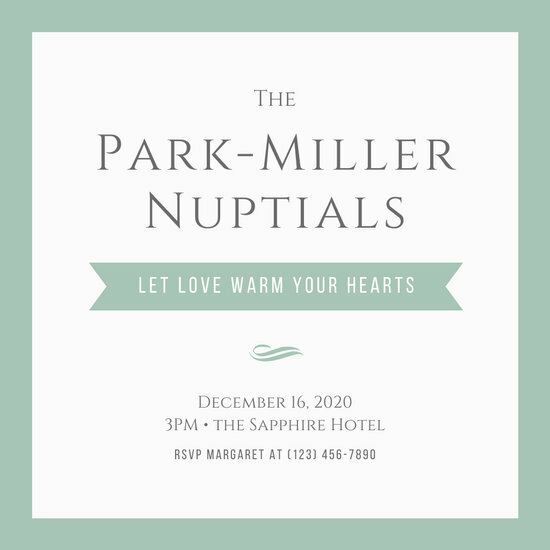 If it is a destination wedding, they will also need to get their accommodations and travel details ironed out. 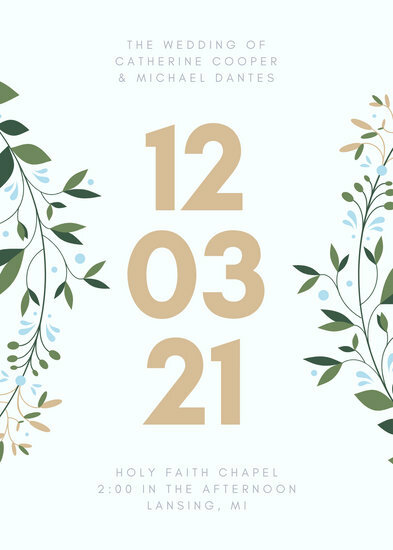 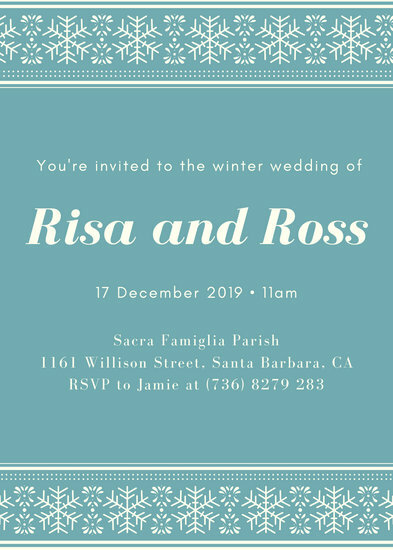 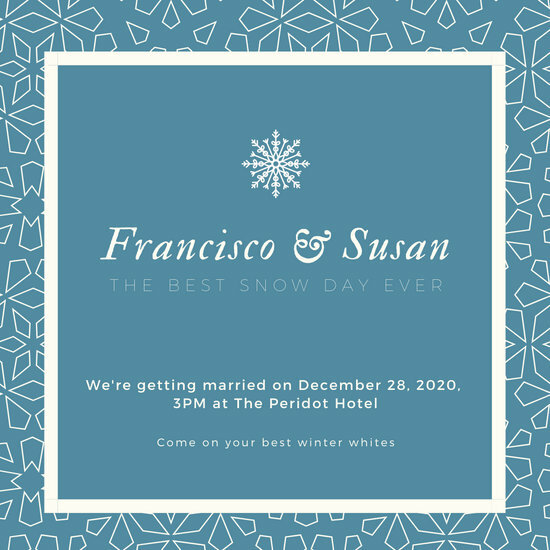 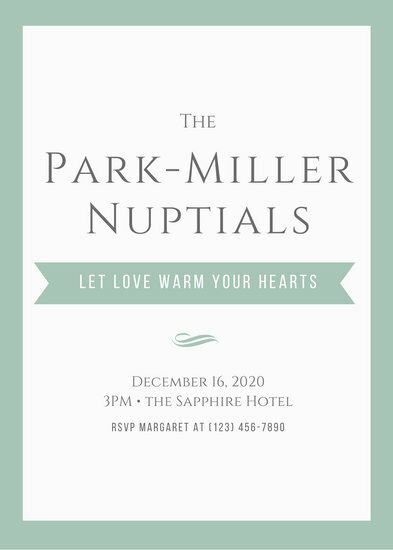 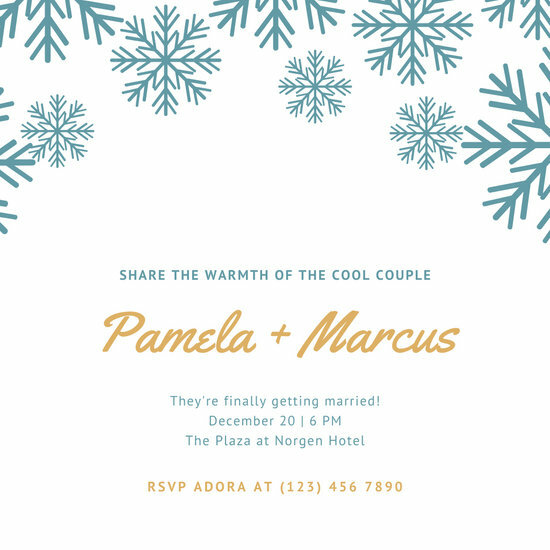 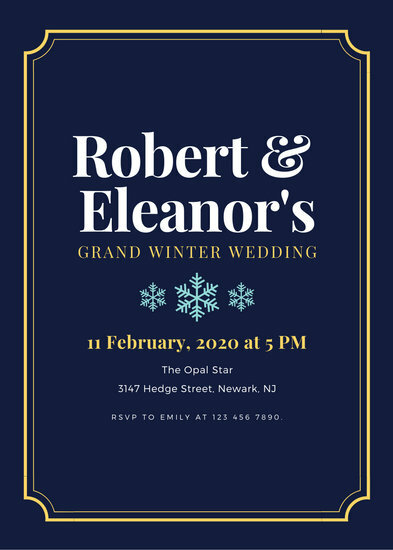 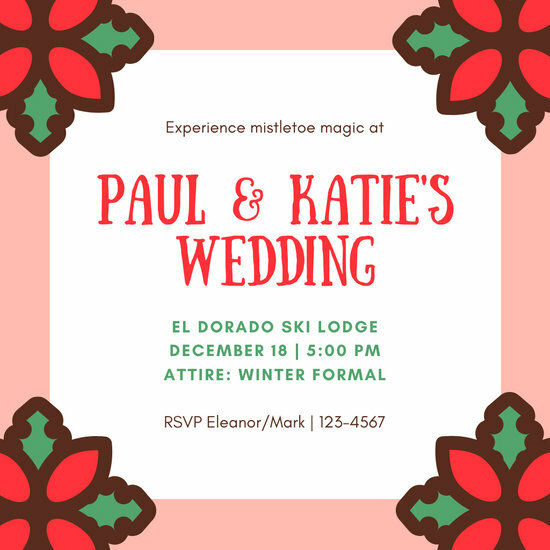 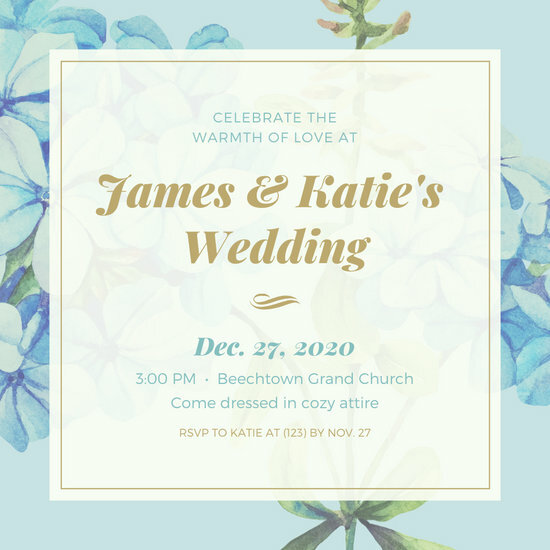 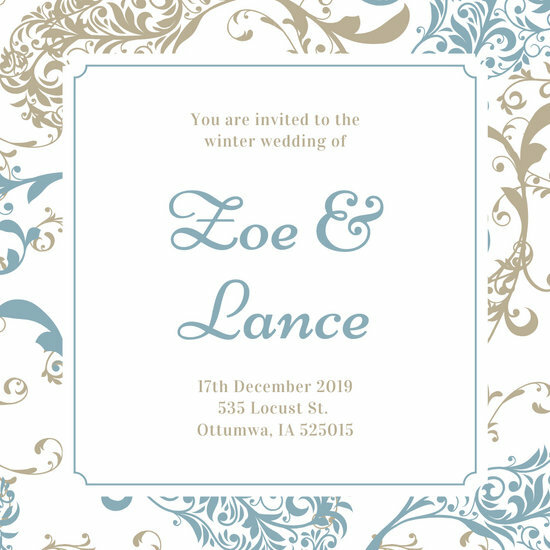 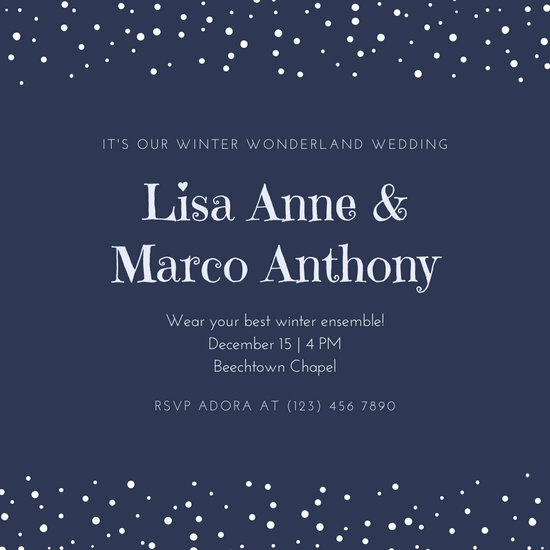 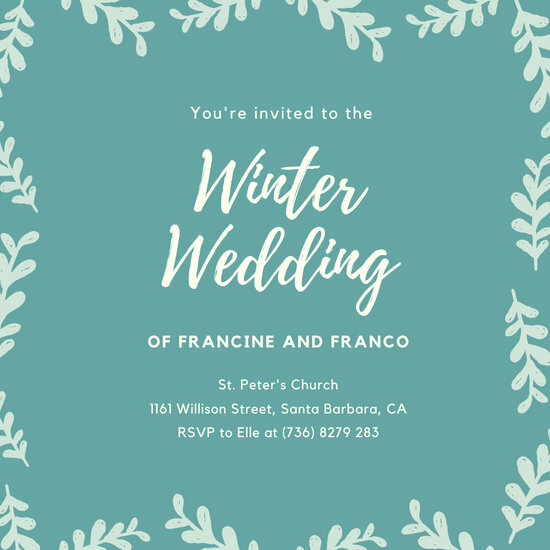 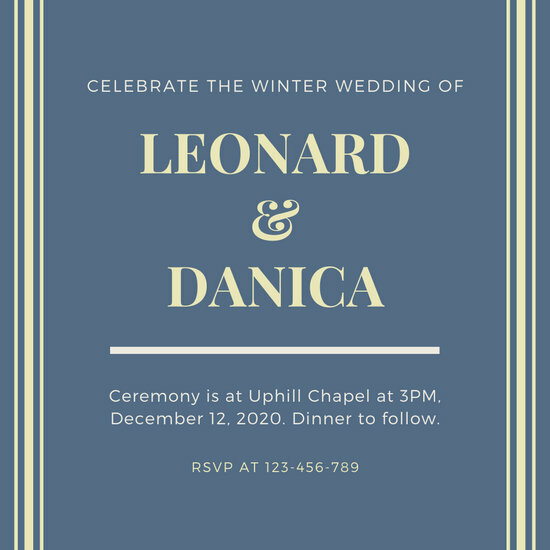 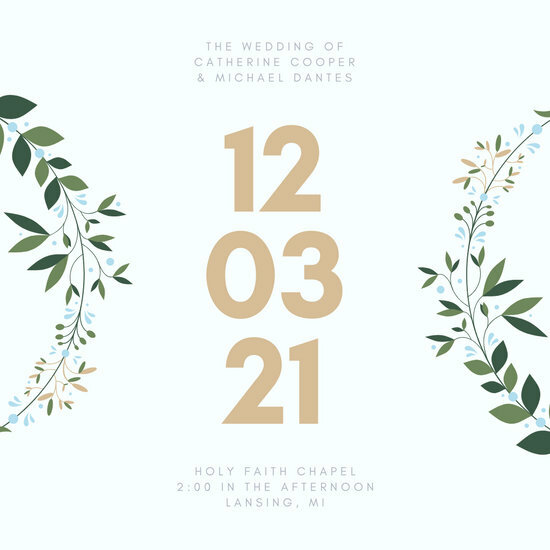 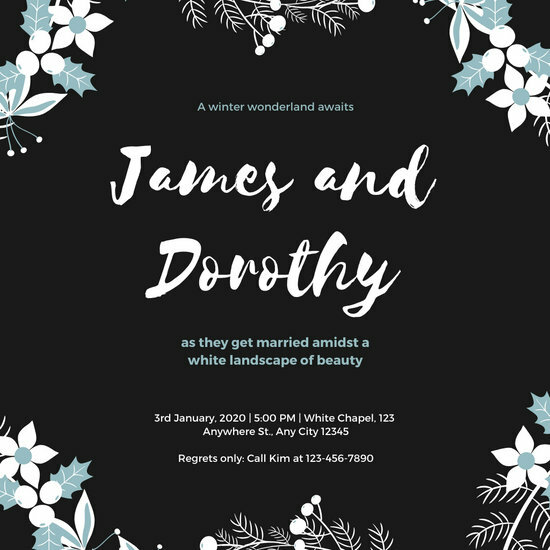 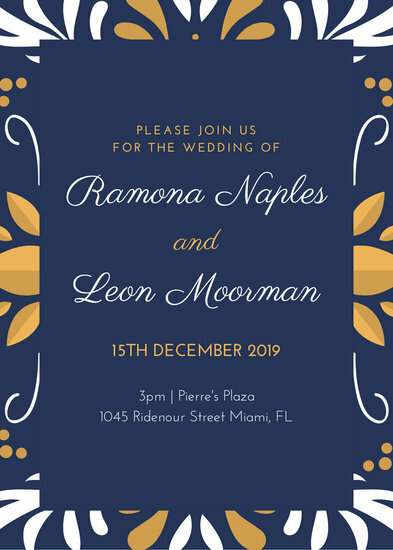 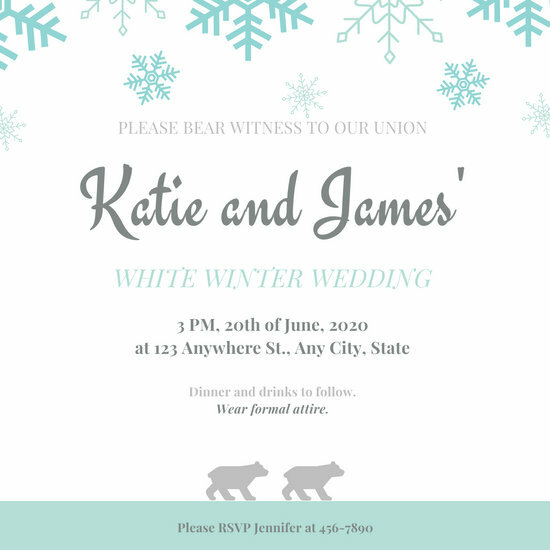 What better way to inform them than through a gorgeous winter wedding invitation designed by Canva? 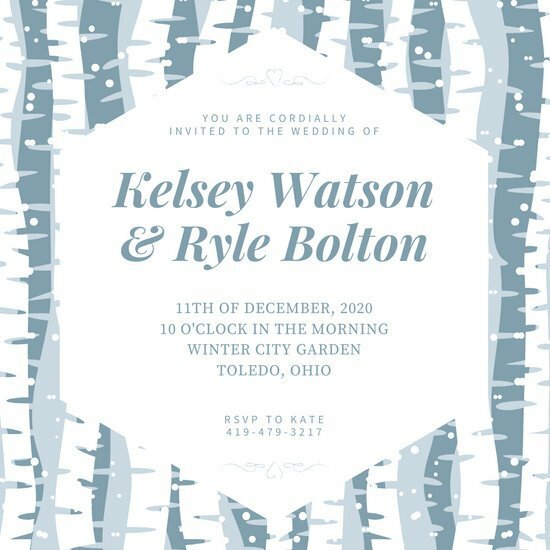 Take a peek at our different templates to figure out which one you want to personalize. 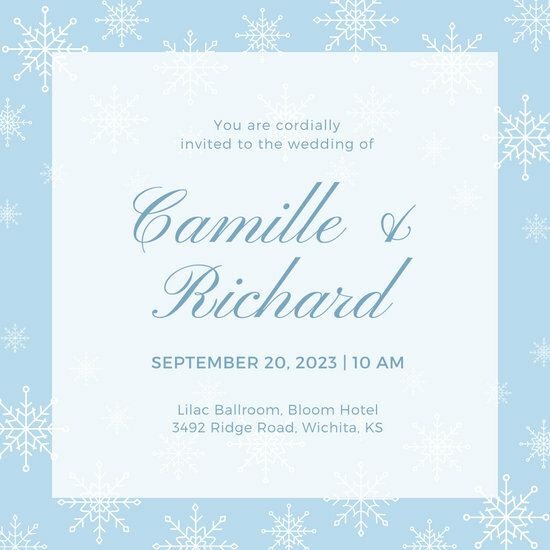 When you’ve picked it out, click on our text tool to input your wedding details. 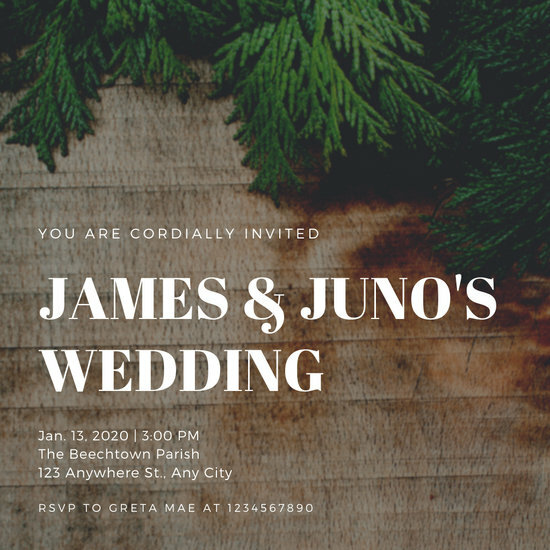 If you want to play with the fonts, Canva has over a hundred styles to choose from. 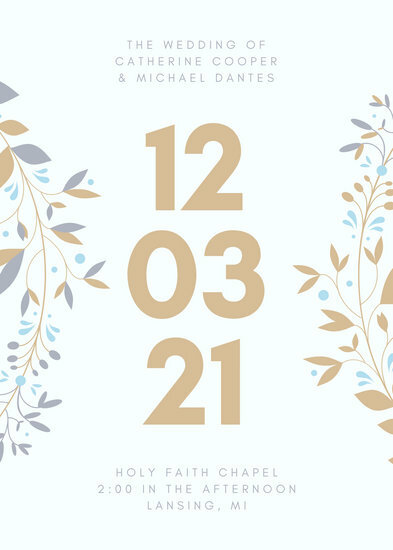 You can also tweak the colors using our color wheel as a guide. 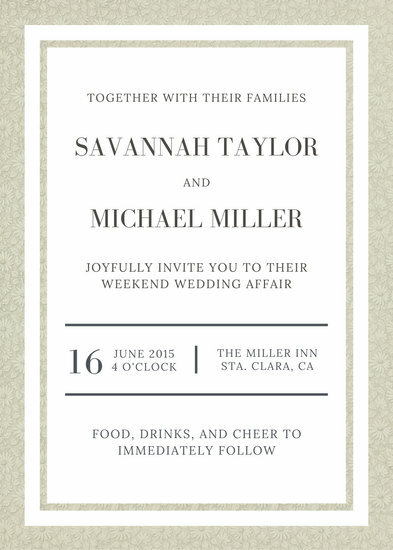 Remember to have fun with the overall design. 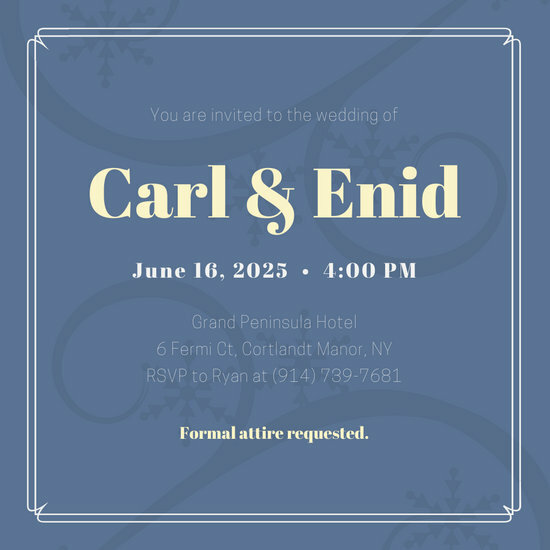 A visit to Canva’s large media library will show you how many options are available to you. 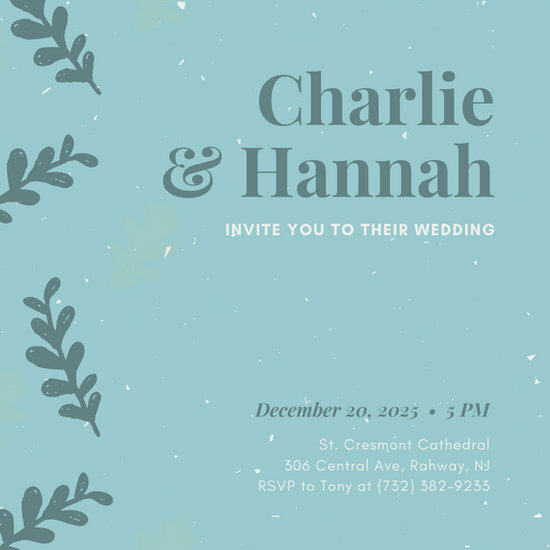 We’ve got illustrations, icons, stickers, patterns, borders, frames, and textures. 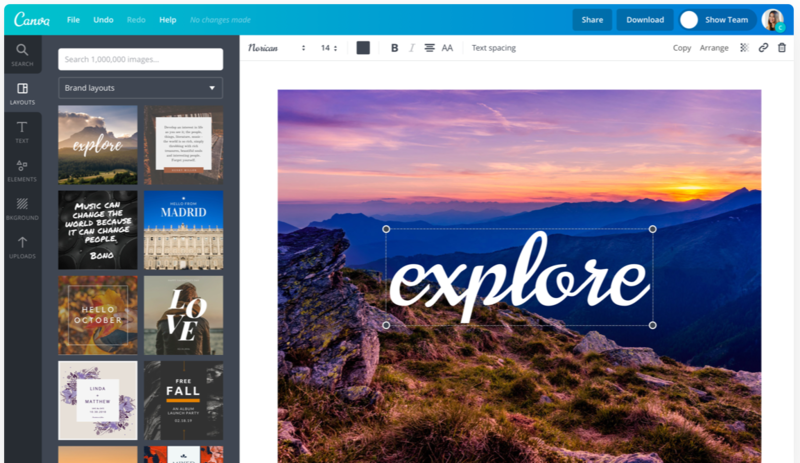 Easily drag and drop your favorites into the layout and arrange them artistically. 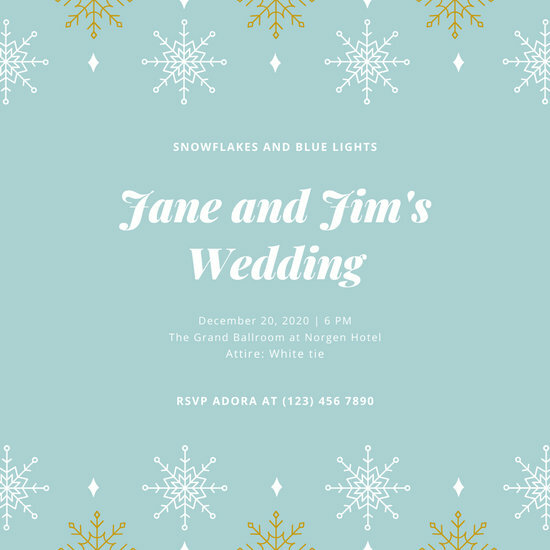 Frame your names with a pretty wreath, dot the background with snowflakes, or fill the corners with a pattern of blue and white. 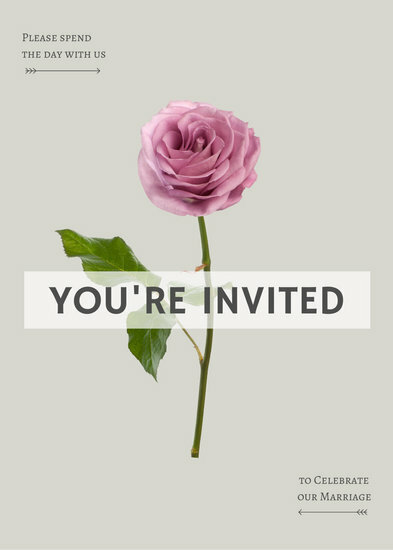 The options are only limited by your imagination. 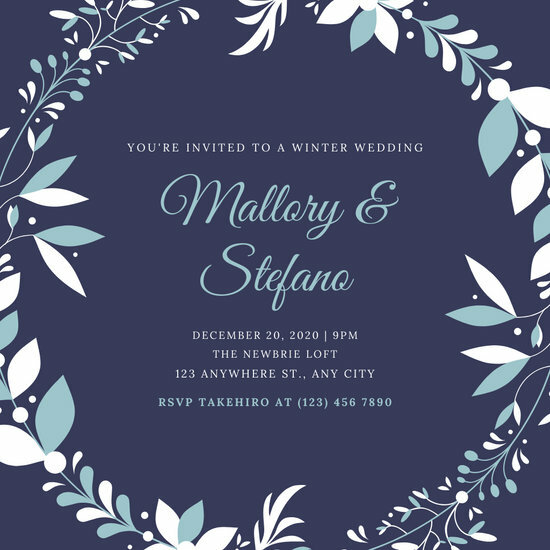 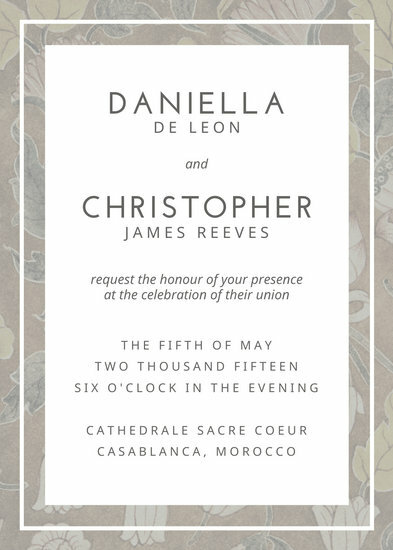 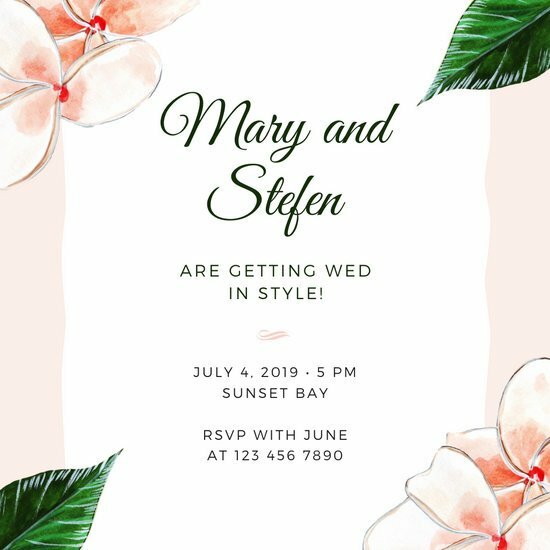 When you’re happy with your creation, save it in high resolution and print it for your guests, or send some invites via email.